The striking black matrix in this green variscite reminds me of tree roots running through a pale green pond. 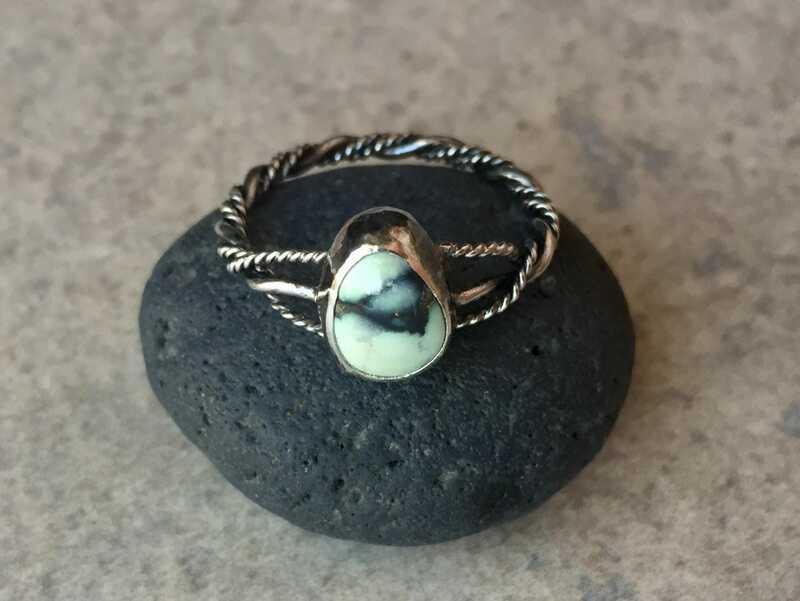 The band echoes the roots, with layers of twisted silver unfurling to connect to the stone. 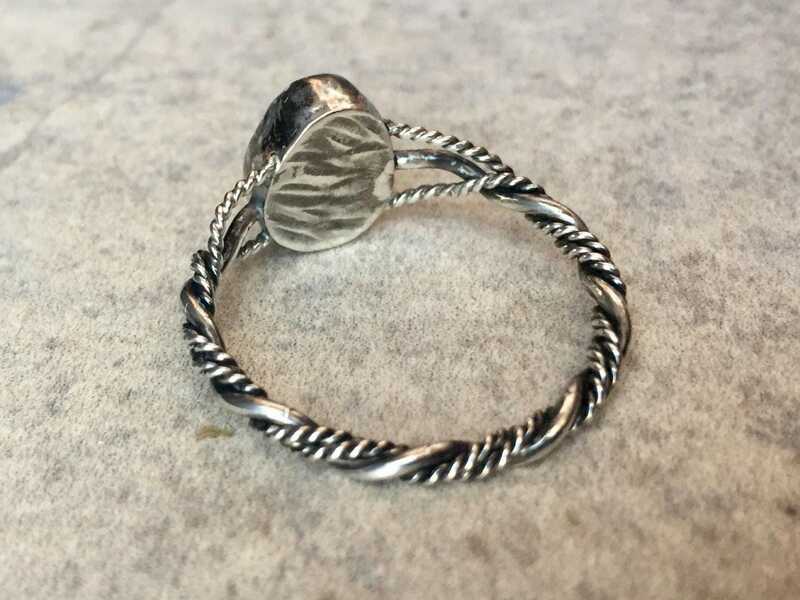 The back of the ring is textured beneath the stone. This is a stunning ring with extra high grade, hard-to-find variscite from the Prince mine in Nevada. 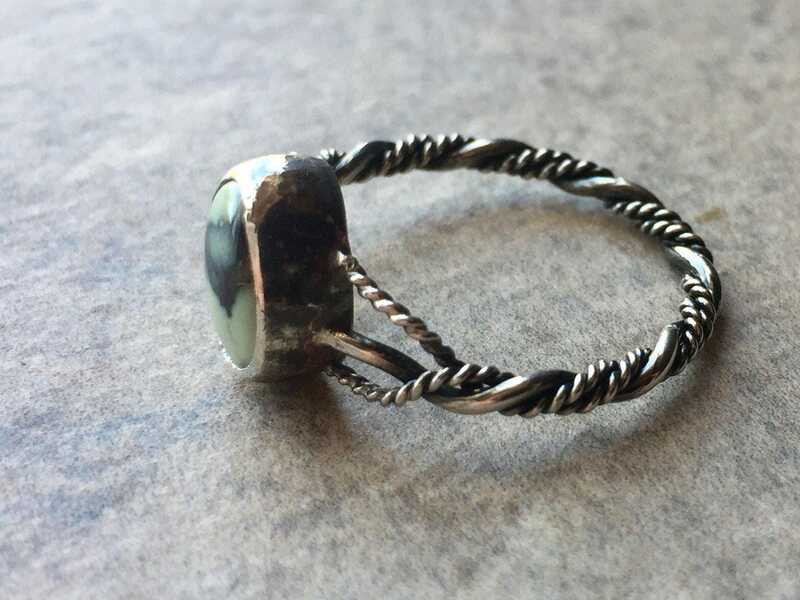 • The pictured ring is a size 10; if you would like a different size, please contact me for a custom order. Examples of other available stones are in the last photo. 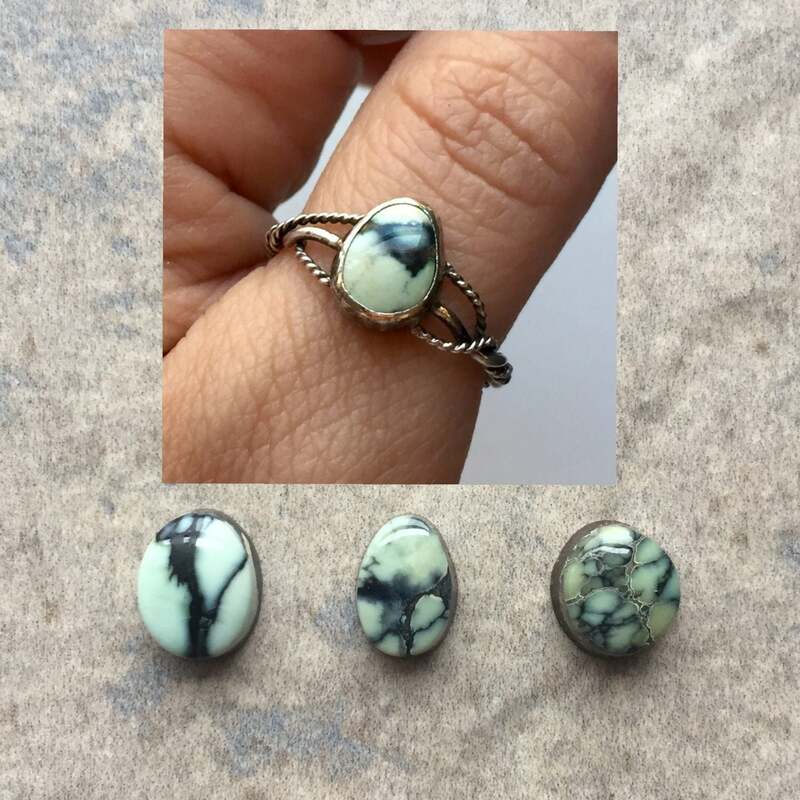 • The stone in this ring is approximately 11x9mm. 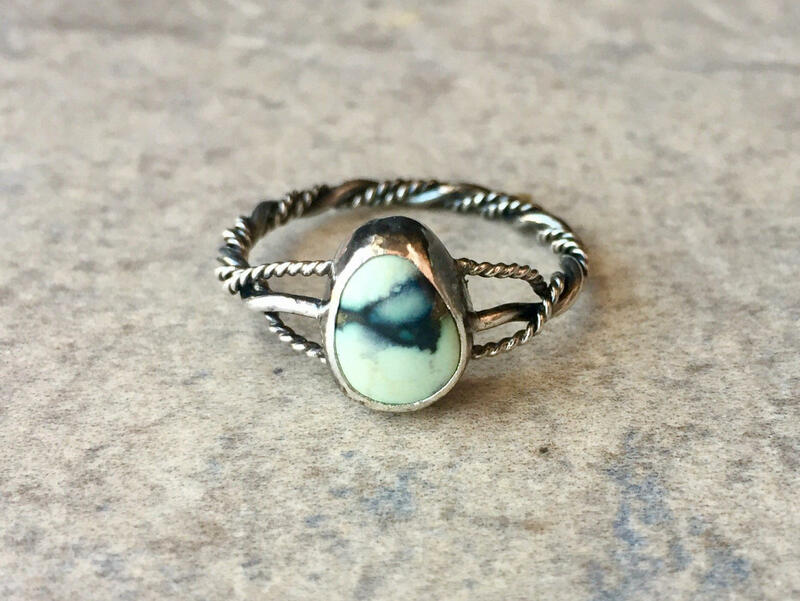 Simply stunning ring, TY Eryn for working with me on the stone choice, I see a horse face with a full mane, Love!! !